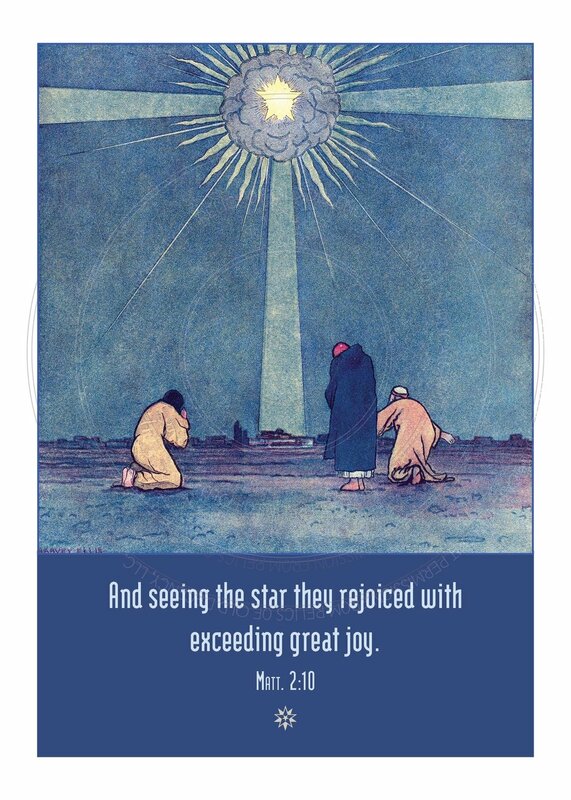 Christmas Card -- A star, a star! The star pointed the way. Harper's Magazine Art by Harvey Ellis, 1890s. Lee size (A7) card. (5" x 7" folded) Vertical. 12 cards with envelopes for $18.